I missed a birthday yesterday. I knew about it, was going to say something and then…I forgot. It happens. Who, you ask? Why John Adams‘ birthday, the second President of the United States, Washington’s Vice President, first Ambassador to Britain, President during the United State’s first, undeclared war, and father to John Quincy Adams, the sixth President of the United States. 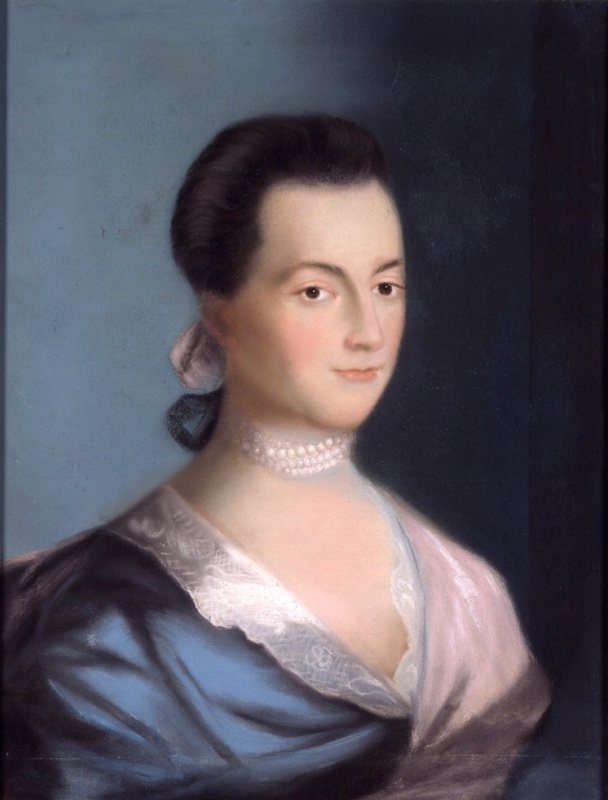 John Adams is also known as the husband of Abigail Adams. Their relationship would make modern romance novelists envious. But little recognized today is Abigail’s support of her husband and her thoughts on government and the nature of man in general that contributed to the creation of our nation. Her correspondence to John in the period leading to the Declaration of Independence provides insight to their characters. Tis a fortnight to Night since I wrote you a line during which, I have been confined with the jaundice, Rhumatism and a most violent cold; I yesterday took a puke which has releived me, and I feel much better to day. Many, very many people who have had the dysentery, are now afflicted both with the jaundice and Rhumatisim, some it has left in Hecticks, some in dropsies. The great and incessant rains we have had this fall, (the like cannot be recollected) may have occasiond some of the present disorders. The jaundice is very prevelant in the Camp. We have lately had a week of very cold weather, as cold as January, and a flight of snow, which I hope will purify the air of some of the noxious vapours. It has spoild many hundreds of Bushels of Apples, which were designd for cider, and which the great rains had prevented people from making up. Suppose we have lost 5 Barrels by it. Col. Warren returnd last week to Plymouth, so that I shall not hear any thing from you till he goes back again which will not be till the last of nextthis month. He Damp’d my Spirits greatly by telling me that the Court had prolonged your Stay an other month. I was pleasing myself with the thoughts that you would soon be upon your return. Tis in vain to repine. I hope the publick will reap what I sacrifice. I wish I knew what mighty things were fabricating. If a form of Goverment is to be established here what one will be assumed? Will it be left to our assemblies to chuse one? and will not many men have many minds? and shall we not run into Dissentions among ourselves? I am more and more convinced that Man is a dangerous creature, and that power whether vested in many or a few is ever grasping, and like the grave cries give, give. The great fish swallow up the small, and he who is most strenuous for the Rights of the people, when vested with power, is as eager after the perogatives of Goverment. You tell me of degrees of perfection to which Humane Nature is capable of arriving, and I believe it, but at the same time lament that our admiration should arise from the scarcity of the instances. Liberties? Can any goverment be free which is not adminstred by general stated Laws? Who shall frame these Laws? Who will give them force and energy? Tis true your [Resolutions] as a Body have heithertoo had the force of Laws. But will they continue to have? When I consider these things and the prejudices of people in favour of Ancient customs and Regulations, I feel anxious for the fate of our Monarchy or Democracy or what ever is to take place. I soon get lost in a Labyrinth of perplexities, but whatever occurs, may justice and righteousness be the Stability of our times, and order arise out of confusion. Great difficulties may be surmounted, by patience and perseverance. I believe I have tired you with politicks. As to news we have not any at all. I shudder at the approach of winter when I think I am to remain desolate. Suppose your weather is warm yet. Mr. Mason and Thaxter live with me, and render some part of my time less disconsolate. Mr. Mason is a youth who will please you, he has Spirit, taste and Sense. His application to his Studies is constant and I am much mistaken if he does not make a very good figure in his profession. I have with me now, the only Daughter of your Brother; I feel a tenderer affection for her as she has lost a kind parent. Though too young to be sensible of her own loss, I can pitty her. She appears to be a child of a very good Disposition — only wants to be a little used to company. Our Little ones send Duty to pappa and want much to see him.Tom says he wont come home till the Battle is over — some strange notion he has got into his head. He has got a political cread to say to him when he returns. I must bid you good night. Tis late for one who am much of an invalide. I was dissapointed last week in receiving a packet by the post, and upon unsealing it found only four news papers. I think you are more cautious than you need be. All Letters I believe have come safe to hand. I have Sixteen from you, and wish I had as many more. Adieu. Yours. Happy post-birthday, John Adams. May you and Abigail not be forgotten.